"I loved the sound of the violin. There was no need to motivate me." "Music is in my genes: there was always music in our house, so I picked it up quite effortlessly just by listening and playing. My parents never sat me down and gave me music lessons, even though they were both musicians themselves. It was all very natural and unforced. I started to play the violin when I was 6, and gave my first recital round about the age of 11. I played the piano too, from the age of 9 to 18." 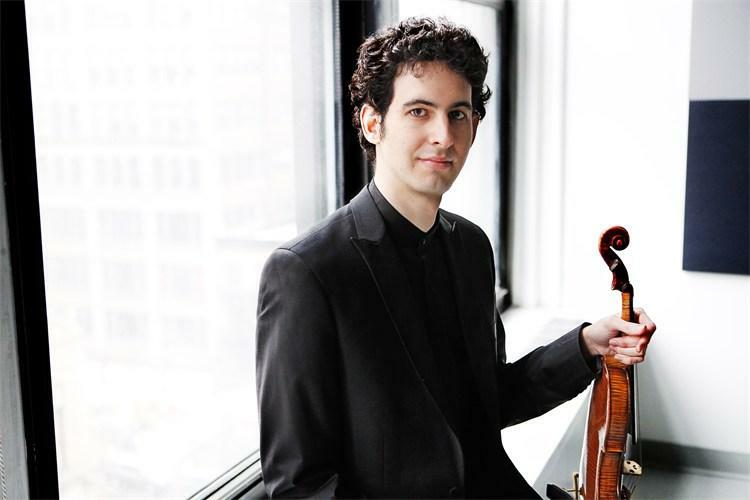 Thirty-year-old Itamar Zorman, one of the rising stars on the global musical firmament, reminisced in a laidback manner about his youth in a musical family, where he subconsciously absorbed the musical notes his father and mother produced while they were practicing, thus gradually training his hearing and laying the foundation for the powerful expressive tone of his own violin playing. When he first saw and heard a violin being played in the neighbour's house, it was love at first sight. "I liked the sound of the violin right from the start. I always loved it; that was all the motivation I needed. But it takes constant effort and determination to reach the top in the world of the violin. There are special recordings of violin music that I find very moving. There are a lot of expressive things and colours that you can achieve with the violin. When I began taking violin lessons at the Israeli Conservatory of Music in Tel Aviv: we started off with group lessons, based on the Suzuki method. Sally Bockel, our teacher, loved this method because it is so good for helping young children to develop thei hearing. She was very energetic, loved the kids she was teaching and generated a good atmosphere in the class. The emphasis in those early years at the Conservatory was not so much on building up your technical foundation but on playing music together and having fun. And listening to a lot of music. She and another teacher used to take us to violin camps in the woods, where we would play with hundreds of other kids." Itamar clearly remembers his first musical steps: "I had other dreams as well, back then; for example, I wanted to become a basketball player or study space technology. But I chose to become a violinist. I even composed small pieces of music as a kid. Of course I saw my father composing, and I think I felt the urge to make something that was my very own. Sometimes I start composing again, when I feel a very strong emotional need to write down a few bars. I only do it occasionally, but one day I do it for earnest. Playing the violin and composing take lots of discipline, but the more discipline it takes, the more you love it. It's all work you have to do on your own. I learned to work as hard as was necessary to fulfil my objectives. And if I had to play the violin, I would play all day. That's why I enjoy it such much. It is all hard work you have to do by yourself. It is extremely difficult to master the violin from a physical point of view. I am still working on it, and the long curve is endless. The instrument is very unforgiving: you have to be really in good shape and in control, because every millimetre counts. If one hand or the other is just 1 millimetre off, you can hear the difference immediately. That's why physical accuracy is so important." Living with music is absorbing it with every breath. Itamar Zorman does not consider himself to have been an infant prodigy. He had the good fortune to have been born in a remarkably musical family; this laid the foundation for his future success. He lived with music, absorbing it with every breach. His father and mother play the piano ands several other instruments. His sister Reut is building a career as a singer-songwriter and guitar player, and is studying music therapy. And finally his youngest sister Alma is just finishing a Master's in international relations and music. She plays the piano too, like her father, mother and Itamar. His uncle was an amateur violinist. All five members of the Zorman family used to play together from time to time. "It was a wonderful experience to play as a family," Itamar recalls. Itamar's father Moshe (born 1952) also has an impressive wide musical record. He has composed the music for three operas, including "The Inn of Spirits", and has written works for symphony orchestras and choirs as well as for theatre productions and dance companies. He is furthermore an expert on jazz music and musicals. His awards include the Prime Minister’s prize for composers (2002), a prize for film music in association with the Sam Spiegel School in Jerusalem and the Akum prize for music (1993). "My father knows a lot about jazz," says Itamar. "I also studied a bit of jazz as a kid at the Tel Aviv Conservatory". Apart from his work as a composer, Moshe Zorman plays the piano and other instruments such as the trombone (in an orchestra) and the accordion. He was head of the Music department at the Levinsky Teachers' College in Tel Aviv from 1990 to 2006, and still teaches there. He is also currently head of the Music Cathedra at the Einav Cultural Centre in that city. He has been very influential as a composer. "I have a lot in common with my father," Itamar continues. "I think I inherited his love of improvisation. He is very good at that, as a composer. He knows how to write interesting, beautiful pieces, and has a great feeling for the harmonic progression of a piece. which is something that l think I learned a little bit from him. I like his music very much, especially the Violin Concerto that he wrote for me." Itamar's mother Astrith Baltsan is an acomplished Israeli concert pianist, known for her interpretation of Beethoven. She was the first prize winner of the Banff Concerto Competition held in Canada in 1984, and won the Concert Artists Guild's competition in New York City in the same year. She is also the creator of a new concept of classical music concert, based on her research of Israel's national anthem, Hatikvah. Astrith has Bulgarian roots. Her mother, Dr. Rozelia Ruth Garti, who died in 1999, came to Isreal from Sofia, Bulgaria. Astrith has also been known as an educator for the last 20 years: she has a dream of creating a new audience for classical music as the public grows older and young people don't seem to care about classsical music so much. She used to say: "This art seems to be dying in front of my eyes." Itamar learned a lot from his mother. "She has a lot of fire in her piano playing," he enthuses. "That is something I got from her. She is very ambitious, and although she has Bulgarian roots, she actually plays a lot of Spanish music. Her family was descended from Jews who originally came from Spain, which explains her deep connection with Spanish music. She also feels greatly attracted to Beethoven, who is certainly her favourite composer. I share her dream of trying to attract a new audience for classical music. She is doing a great job bringing classical music to more audiences by talking to them about the links between music, other art forms and history to give people the background to the music they are listening to. This is often very helpful in creating the essential initial understanding and attachment. I believe it will be much easier to attract people to listening more music once this first step has been taken. Her great success in bringing large audiences to her concerts over so many years proves this, I think." A 6-year-old boy enters Tel Aviv Conservatory of Music. 24 years later the world lies at his feet. 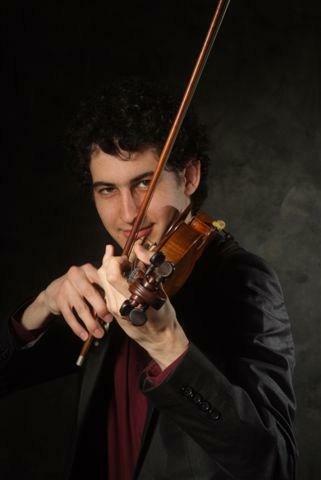 Itamar Zorman began taking violin lessons from Sally Bockel at the Israeli Conservatory of Music in his hometown at the age of six, and graduated from the Conservatory in 2003 at the age of 18, after also taking lessons from both Professor David Chen and Nava Milo. "Nava Milo was probably one of the teachers who had the greatest influence on me. I have learned a lot from her about the foundation of my technique, about the physical approach to the instrument and about relaxation and flexibility. I think the five years I spent with her have led to the biggest jump in my career so far." He then studied under Hagai Shaham at the Jerusalem Academy of Music and Dance, where he received his Bachelor's degree in 2006 at the age of 21. He received his Master's of Music from the Juilliard School in New York in 2009; his teachers there were Robert Mann and Sylvia Rosenberg. 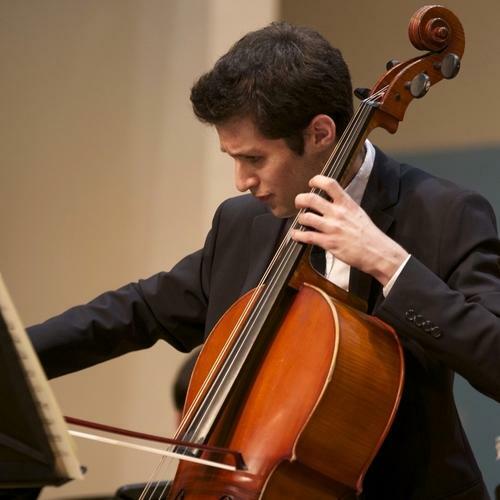 He went on to gain an Artist Diploma from Manhattan School of Music in 2010, and one from Juilliard in 2012, where he continued his studies under Mann and Rosenberg. "I strive for depth and detail in the music I play." "I still play for Sylvia Rosenberg every few months in New York, where we both live," adds Itamar. "When an important concert is coming up, she gives me very helpful advice." It did not take long for Itamar to realise that Sylvia Rosenberg would become a cornerstone of his rich career. "After Jerusalem I went to New York and studied under Sylvia Rosenberg," he explains. "She is an amazing teacher, who has really made me the kind of musician that I am today. She taught me how to come up with an interpetation that went much further than improvisation based on my view of the score, so that I really knew what I was doing musically and technically, every note I played. She taught me a lot about different styles and composers. I also learned how to stabilise technical standards; that is very important. She helped me to understand what I was doing and to make plans. Thanks to her, I look at a pipece of music in a very detailed, deep way, which helps me to 'clean it up', so to speak." A year ago he studied with Christian Tetzlaff and Mauricio Fuks at the Kronberg Academy in Germany. Itamar still recalls one important lesson he learned from Tetzlaff. "Chrstian Tezlaff is very inspiring, both as a violinist and as a person. Whatever he does always comes from the musical text, not because of previous interpretations that have become popular over the years. His interpretation of the Mendelssohn Concerto is a good example of that. Everyone plays the Mendelssohn Violin Concerto, but many imitate traditions which drift from what is actually written in the music. Tetzlaff however is very true to the score, and does what it says, even if in the past 100 years people have become used to hearing the piece in a different way." 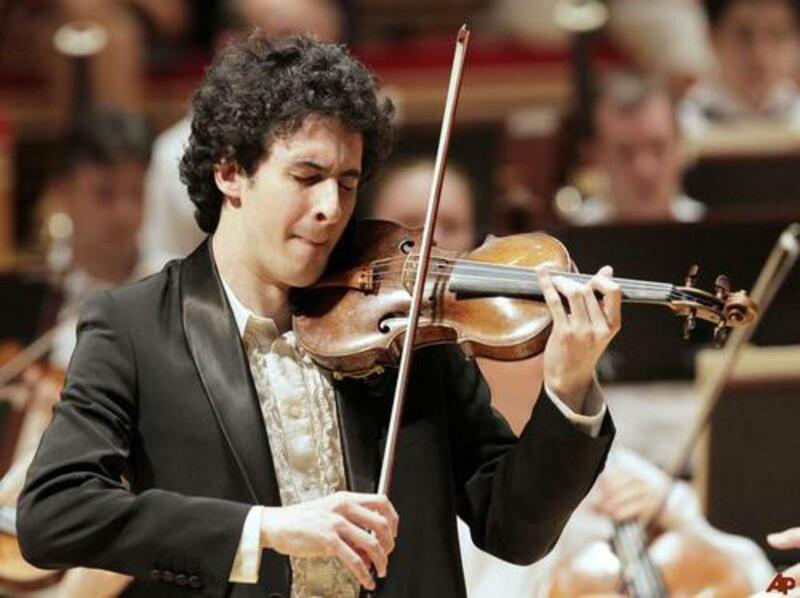 Itamar Zorman, the gifted Israeli violionist, has won his spurs in solo, chamber-music and orchestral performances and has seen his talents recognized by awards from all over the world. He remains modest and realistic despite all his success. He formulates his view deliberarely in his New York apartment. He has studied hard to attain his elevated musical objectives, and has already achieved many of them. This has yielded him a rich harvest of praise from the international press, including the description of him as a "virtuoso of emotions" by the Göttinger Tageblatt. He has apparently effortlessly won a number of prestigous prizes. 2011 was a very good year for him: he was a winner at the International Tchaikovsky Competition in Russia, subsequently performing in the winner's concerts with Valery Gergiev and the Mariinsky Orchestra, and was a finalist in the Young Concert Artists International Auditions. In the same year, he won both the Arriaga Competiton and the grand prize at the Coleman Chamber Music Competition with the Lysander Piano Trio, which he had co-founded (see next section). The trio was a winner at the Concert Artist Guild Competition in 2012, while Itamar was awarded an Avery Fisher Career Grant and a scholarship from the American-Israeli Cultural Foundation in the same year. He received the renowned Borletti-Buitoni Trust Award ion 2014. Other competiton successes include the first prize and a special prize for a performance of a Mozart Concerto at the 2010 Freiburg International Violin Competition in Germany and the Juilliard Berg Concerto Competion in April 2011, which led to his Avery Fisher Hall debut with the Juilliard Orchestra led by the late James DePreist. Itamar gave recitals in Hamburg and Frankfurt in October 2013, and also took part in the Kronberg Academy Festival, which included a concert with the Moscow Soloists and Yuri Bashmet. He made his debut in the Louvre recital series in Paris in 2014, while in November of the same year he appeared at the Teatro Massimo in Palermo playing the Beethoven violin concerto conducted by Daniel Oren. Itamar was also oned of the three protagonists featured in the documentary film "Violinissimo", which followed the lives of three promising young violinists and was released by Detail Films throughout Germany in 2012. If you ask Itamar which prize meant most to him, it doesn't take him long to reply. 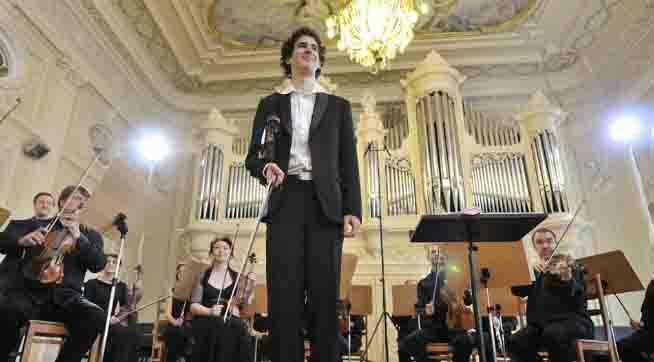 "Winning the Tchaikovsky Competition was a kind of business card for me. People know me now from that competition and a lot of people are still helping me today because of it. Thanks to that, I built up a lot of influential contacts. But it was a challenging assignment: there are five rounds in the Tchaikovsky Competition, and you have to spend 3 weeks in Rusisa to take part. It's a very gruelling process." Itamar is a member and co-founder of the Lysander Piano Trio (see above photo), which consists of his wife, co-founder and pianist Liza Stepanova and cellist Michael Katz. "Liza Stepanova, who was to become my wife, and I founded the Lysander Piano Trio in 2009. All three members of the group had been studying at Juilliard at the same time, and we started the trio there. The teachers at Juilliard were also very supportive. We took part in a few competitions and did quite well, especially in 2012 when we won the Concert Artist Guild Competition. That success was a real boost for our careers." Apart from the above-mentioned successes, the Lysander Piano Trio also won a bronze medal in the 2010 Fischoff National Chmaber Music Competition in South Bend, Indiana, the largest chamber music competition in the world and one of the most prestigious classical music prizes available today. Itamar's wife, Liza Stepanova, (photo on right by Jamie Jung) was praised by the New York Times for her "limpid touch" and "fleet-fingered panache." Stepanova is in demand as a soloist, collaborator and educator. She has performed extensively in Europe, most recently as a soloist with the Southwest German Philharmonic and in duo recitals at the Berlin Museum of Musical Instruments. 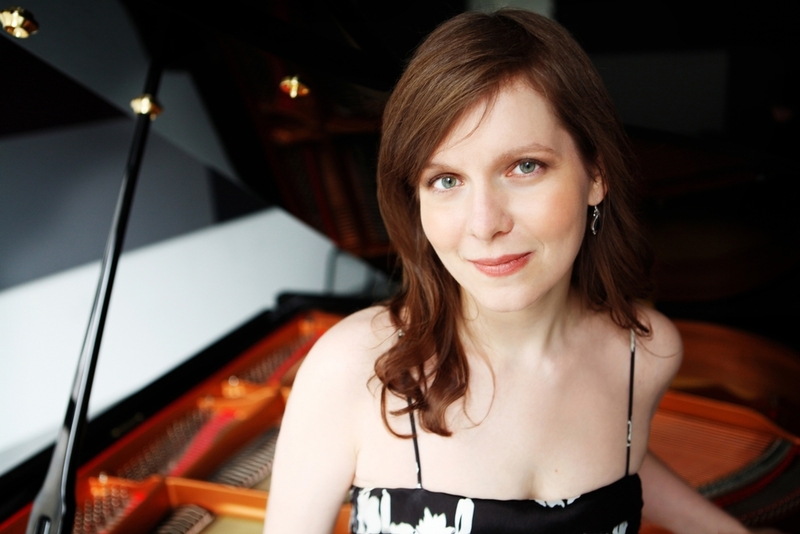 In the United States, she has appeared in Weill and Zankel Recital Halls at Carnegie Hall and in the Alice Tully Hall and the Merkin and Steinway halls,all in New York City, and in the Kennedy Center in Washington. Stepanova has twice been a soloist with the Juilliard Orchestra led by the late James DePreist and Nicholas McGegan and was a top prize-winner at the Liszt-Garrison, Juilliard Concerto, Steinway, and Ettlingen competitions. She studied art song collaboration with Wolfram Rieger, Margo Garrett, and Brian Zeger, and was invited by the late Dietrich Fischer-Dieskau to perform in several of his masterclasses including those held during the annual Hugo Wolf festival in Vienna. Luisa Stepanova received her DMA from The Juilliard School in 2012 with a Richard F. French Award for an outstanding dissertation. The third member of the Lysander Piano Trio is Michael Katz, a fellow- student of Itamar and Liza at The Juilliard School. Hailed by the press for his "bold, rich sound" (Strad Magazine) and "nuanced musicianship" (New York Times), Israeli cellist Katz has appeared as a soloist and chamber musician in renowned venues, such as the Weill Recital Hall and Alice Tully Hall in New York and the Kennedy Center in Washinton, Tokyo's Oji Hall, and the Jerusalem's Henry Crown Auditorium. His musicianship has been recognized by many awards, among them all three awards at the 2011 Aviv Competitions hosted by the America-Israel Cultural Foundation in Tel Aviv, first prizes at the 2010 Juilliard School's Concerto Competition, and the 2005 Turjeman Competition in Israel, as well as scholarships from the America-Israel Cultural Foundation and the Ronen Foundation. Michael Katz has participated in many chamber music programmes. Deeply committed to community outreach and education, He is currenty a Fellow in Ensemble ACJW, a programme set up by Carnegie Hall and The Juilliard School to train the next generation of performers to be artists and teachers with a deep commitment to the communities in which they live and work. "At some point in time I played a Czech violin belonging to my uncle. I played that violin when I was 13 years old," says Itamar. "It was a full-sized violin, my first one, but when I started I had a much smaller one, probably a 1/16 size violin, and then as I grew older the violins I played became closer and closer to full size. When I got to play my uncle's violin, I was about 13 years old. It is a good violin, and i am obviously deeply attached to it. I think it came into the family through my uncle's teacher, who also taught Pinchas Zukerman. For some time I played a 1745 Pietro Guarneri from the collection of Yehuda Zisapel, but a few months ago I exchanged it for a 1734 Guarneri. It's from the same collection, but I like this one better, it has new possibilities, although the 1745 Guarneri has a veryu powerful sound that projects extremely well in larger halls. But with my new violin I can reach new volumes; it really has an amazing quality ad a very warm tone. Yehuda Zisapel is a leading entrepreneur in the high-tech software sector and property developer, and an amateur violinist, who started to collect antique violins a few years ago. He lends out some very good instruments to young violinists. I am very lucky and grateful to have this instrument from him. I have another, cheap violin in New York, and I need to keep my two violins in good shape. I take the cheap one on holiday, I can leave it in my car without worry. It's a very practical instrument on which I can play a few minutes a day if I want to. I have selected my instruments and teachers very carefully. You could say I picked them and they picked me. I think I have made some very good decisions. You need different kinds of teachers at different stages of yor development as a violinist. I think I have done very well to pick the right teacher at the right time." A founding member of the Israeli Chamber Project, Itamar Zorman has toured Israel and North America for the past five seasons. The project started in 2007. The Israeli Chamber Project is based both in New York and Israel. Together these fine young Israeli musicians perform both classical and rarely heard chamber masterworks side by side with new music by promising Israeli composers. To increase the audience’s understanding and involvement, these musicians use input from the world of theatre in some performances. They harness the power of music to heal and transcend geographical and cultural divisions. Itamar is very pleased with the project. "I think it is very satysfying. I believe we are doing important things in the Israeli musical scene, playing concerts and organising classes in local conservatories to bring music to a larger audience. This is a very important element that we focus on." Itamar Zorman's first solo CD: a well-balanced "Portrait"
Itamar Zorman's first solo CD recording, Portrait, featuring works by Messiaen, Schubert, Chausson, Hindemith and Brahms, was issued in the spring of 2014. While hew has produced two other CD's, one with the Lysander Piano Trio and one with the Israel Chamber Project, Portrait offers a subtle balance between the works of the five prominent composers recorded here. ASccompanied by the Korean piasnist Kwan Yi, another Juilliard alumnus, he has succeeded in puttiong together an impressive collection of masterpieces, though bypassing the first great age of violin music, the 18th century. That apart, Itamar Zorman introduces the finiest piece ASchubert wrote for violin and piano, his rondo in B minor, D895. He furthermore included Chausson's best-known work, Poème opus 25, in his own violin and piano arrangement. The two 20th century pieces are rarer and well contrasted, the Hindemith being for violin alone. Zorman's own booklet notes show he has a good understanding of the character of eachof the recorded works, and more importantly so does his playing, as Roy Westbrook commented. Westbrook continued: "Messiaen's Theme and Variations is an early work, a wedding gift for his first wife the violinist Claire Delbos, with whom he premiered the piece in 1932. This is, as the artist remarks, a work of high intensity, maintained throughout the five variations. He plays it that way from start to finish, with a fierce and sweetly bright tone. It is possible to let a little more air into the work, as The Hebrides Ensemble manage on their better-recorded all-Messiaen chamber music disc on Linn, but Itamar Zorman's high commitment is commendable. He brings the same quality of intensity to the other French work on the disc. Chausson's Poème, giving full value to its Franckian and Wagnerian inheritance, unabashed by its hot-house emotional world." Playing with Israeli harpist Sivan Magen: "My violin goes very well with his harp." Itamar Zorman has also performed with other soloists, for example with the Italian pianist Gabriele Carcano in Eindhoven, the Netherlands, in the autumn of 2015. Gabriele Carcano is also a Borletti-Buitoni Trust award recipient, having received the award in 2010, and was described by the Süddeutsche Zeitung as "the sculptor of sound". In the video above, Itamar teams up with the Israeli harpist Sivan Magen for a performance of the Saint Saëns Fantaisie for Violin and Harp, Op. 124, for the Israeli Chamber project. Sivan Magen won first prizes, as well as the Renie and Propes prizes, at the 16th International Harp Competition in Israel (2006), which makes him the first Israeli to have won this competition since its inception in 1959. Apart from working as a solist, Sivan Magen has played chamber music at Le Trianon and Salle Gaveau in Paris, recorded for Israeli Radio and Television, New York's WQXR, and the French television channel Mezzo. He joined Isabelle Moretti's harp class at the Paris Conservatory, from which he graduated in June 2005 with a "Premier Prix". He holds a Master's degree from The Juilliard School, wshere he was taught by Nancy Allen. Itamar Zorman is enthusiastic about his collaboration with Magen. "My violin goes very well with his harp. Sivan Magen is a wonderful musician, and we make a great team. We sometimes play together in concerts in Israel, as part of the Israeli Chamber project."